BBC - Ethan Stables A white supremacist who plotted a machete attack on people at a gay pride event has been convicted of a terror offence. 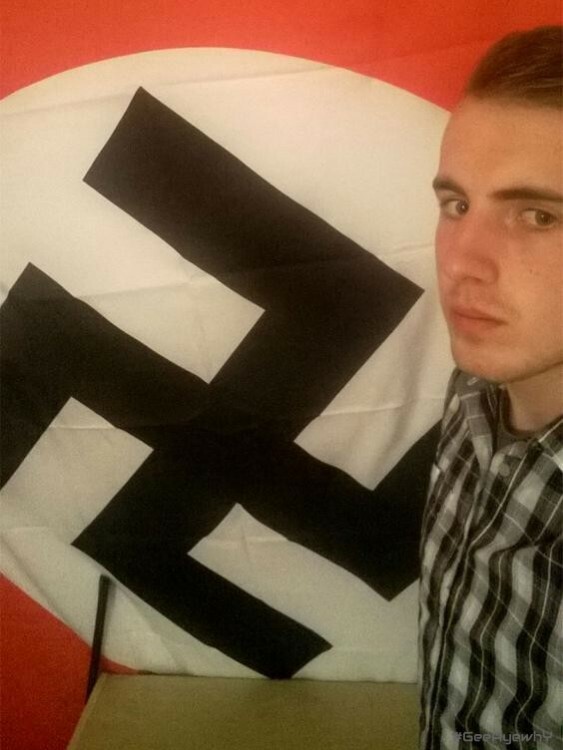 Ethan Stables, 20, planned to strike at the LGBT event at the New Empire pub in Barrow, Cumbria, in June 2017. Stables was found guilty of preparing an act of terrorism, threats to kill and possessing explosives. Leeds Crown Court heard he was planning to use an axe and machete during the attack, but the plan was foiled after he told people about it on Facebook. Officers received a tip-off from a member of a far right group, where he posted a message saying he was "going to war" and planned to "slaughter". Armed police swooped on him as he walked towards the pub just before the event. The court was told Stables made a series of chilling Google searches including "I want to go on a killing spree", "how to make chemical poison" and "what is prison like for a murderer". He had also searched for how to make a bomb from matches, and police found a collection of cut-off match heads in his flat. At other times he expressed his hatred of Muslims and Jews, and said in a WhatsApp message: "My country is being raped. "I might just become a skinhead and kill people." Jurors heard Stables was interested in the Columbine High School massacre and had been expelled from school following an incident in which he put another pupil in a headlock. He became radicalised after a trip to Germany to see a young woman, his mother said. Stables claimed he was just a fantasist and had been "brainwashed" by right-wing extremists he met when he lived in hostels. He was described by his barrister as "lonely and inadequate" and as having an autism spectrum condition. Stables was remanded in custody ahead of sentencing later this week.